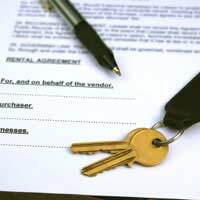 If you are planning on renting a property, you will need to have a Private Tenancy Agreement. There are lots of different kinds of tenancy and also different levels of protection and rights should something go wrong or need attention. You should always find out first what kind of tenancy you are being offered as it can make a huge difference to the rights you have. Most private tenancy agreements fall under the shorthold category, but you shouldn't assume that this is the case. The type of agreement you have may be affected by when the agreement came into force and the type of rented accommodation that you live in. Read our guide to find out what the different tenancy agreements mean and how they affect you. This is the most common type of tenancy agreement, so we will be covering this in detail. If you moved in after January 15 1989 and before 27 February 1998 and you were given a notice saying that you had an assured shorthold tenancy before you moved in, then this also applies to you. This type of tenancy is one that affords you the legal right to stay in your rented accommodation for a specified period of time. It may be a 6 month, 12 month or 2 year contract - in which case it is known as a fixed contract, or it may be a 'periodic tenancy ' with a 'rolling' contract that goes from month to month or week to week. Often private landlords will offer an initial fixed period then agree to a 'rolling' tenancy, so they are subject to change if both parties agree. If fixed term, when will your arrangement run out? To stay in your accommodation until the landlord obtains a court order to remove you. Although very similar in a lot of ways, if you have a regulated tenancy then you have better rights against being evicted than most private tenants. This kind of tenancy allows you to live in your accommodation for a period of time, which can be fixed or rolling term. You are entitled to fair rent assessments and the rent can only be increased once every two years and by a certain amount. You have similar rights to repair as assured shorthold tenants and you can stay in the property until the landlord obtains a court order to remove you. You have the right over who comes and goes from your home. In some circumstances you will also be allowed to pass your tenancy to someone else. If you have an occupier with basic protection arrangement then you don't have very many rights at all. Your landlord can quite easily evict you which can obviously cause problems if you want to challenge your rent or get an repairs done. Under this type of tenancy your landlord is not allowed to increase your rent during your fixed term unless you agree to it or unless you are only periodically occupying the property. In this case they can raise it whenever they like and you are not eligible for fair rents as set by a rent committee. If you live with your landlord or in the same building, do not pay rent or are living somewhere for a holiday period then you will be an excluded occupier. This means that you have virtually no rights and are only allowed to stay until your landlord wants you out or until the term expires in any written agreement. You don't even need notice in writing to be forced to leave, a verbal notice is enough in this case.